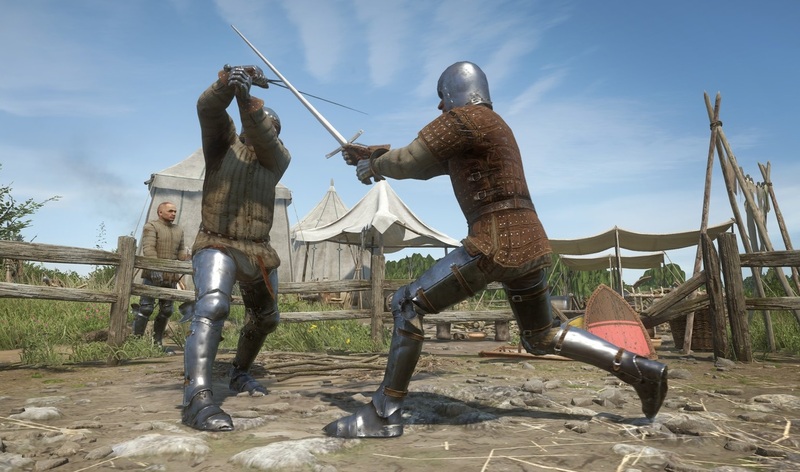 Before you can play Kingdom Come: Deliverance once it’s released on February 13th, you’ll need to download a massive Day One patch according to a new report from Gadgets 360. The patch, which weighs in at a whopping 23.07GB, brings the game’s total file size on PlayStation 4 up to 46GB. Along with updating the game to version 1.01, the Day One patch helps perfect the game with new combat fixes, dialogue animation improvements, an improved persuasion user interface, and sound tweaks. Addition of multiple new events to the open world. Massive improvement in dialogue animations. Gaining money and experience is rebalanced. Weapon and armour stats are rebalanced. Archery is now possible in stealth mode. For those unfamiliar with the game, Kingdom Come: Deliverance takes place in 1400s Bohemia. Following the death of Emperor Charles IV, the kingdom is thrust into dark times full of war and corruption. Meanwhile, a power struggle ensues for the crown with Charles’ son, Wenceslas, inheriting the throne. This doesn’t sit well with his half-brother and King of Hungary, Sigismund the Red Fox. With questionable intent, Sigismund ventures to Bohemia and captures his half-brother. With the throne empty, Sigismund is free to plunder Bohemia to his heart’s content. You play as protagonist Henry, the son of a blacksmith whose village is burned to the ground by Sigismund. Losing your family, home, and future, your quest for vengeance lands you in the service of Lord Radzig Kobyla. Radzig is seeking to form a resistance against the unrest in Bohemia. In Radzig’s army, you’ll find yourself caught in the middle of a bloody civil war, the outcome of which will determine the future of Bohemia. The game promises to be rich in content, which is further backed by the sheer size of its 1.01 update. Looking to pick up a copy? 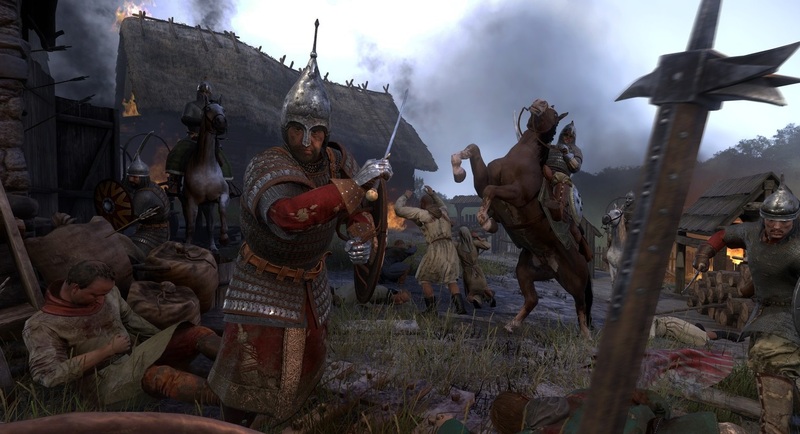 Kingdom Come: Deliverance is set to release on February 13th for PC, PlayStation 4, and Xbox One at a price point of $59.99. 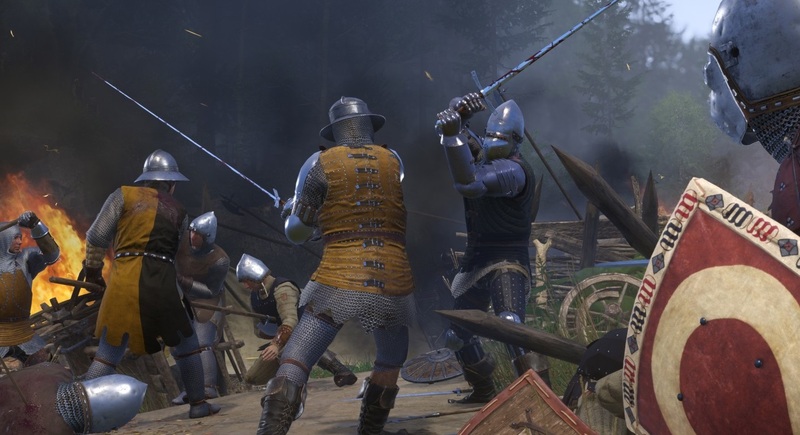 For more info on Kingdom Come: Deliverance, be sure to check out the game’s official website, and browse through the diverse collection of development videos over on the Warhorse Studios YouTube channel.